The World Food Program (WFP) imported 375 metric tons of Sorghum to Ethiopia through the Port of Berbera last Thursday, March 26, 2009. The WFP made a cross-border delivery of food commodities to Ethiopia from Berbera Port in Somaliland. WFP, the world's largest humanitarian agency, used the port as an alternative entry port into Ethiopia to bring in its relief and emergency food stock. The food aid is destined for the needy Somali region in the eastern part of Ethiopia for those obviously affected by famine. "We are happy that the WFP sorghum has reached the region," Mitiku Kasa, state minister of Agriculture and Rural Development, told Fortune. WFP confirmed that a convoy of 16 trucks and lorries had arrived in the eastern town of Jijiga from Berbera Port. The trucks were loaded with some 375 metric tons of sorghum for WFP beneficiaries in the Somali region. Men, women and children who are still enduring the impact of last year's severe drought and of high global food and fuel prices will benefit from this aid. 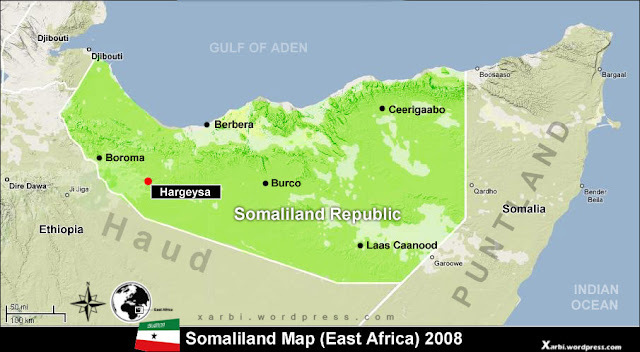 Out of the general 4.9 million people in need of food aid throughout the country, 1.5 million are found in this region. "We will be able to help food insecure communities in the Somali region in an even more timely and efficient manner now that food supplies can arrive from across the border in Somaliland." Mohamed Diab WFP (PhD) country director in Ethiopia said in a press release sent to Fortune on Thursday, March 26, 2009. The initial delivery of food commodities is part of a total consignment of 2,000 metric tons of sorghum that is expected to arrive in the country through the Berbera Port in the next few weeks. WFP had sought for an alternative port to bring food stocks into Ethiopia since the recent heavy congestion at Djibouti Port. The new access from Berbera Port will complement the 'hubs and spokes' logistical system that WFP and the government implemented last October, and which operates in seven of the nine zones in the Somali region. WFP confirmed that the 'hubs and spokes' delivery mode created three new storage points in the Somali region from which food is transported down multiple spokes to almost two hundred final distribution points. The restructuring has also involved the establishment of a secondary transport system using local transport companies.